The challenge ends on Thursday,May 28 at midnight (EST). A random winner will be selected from all of our participants and announced here on the blog on Friday, May 29. You may enter multiple projects, however, your name will only be entered into the drawing once. This month's sponsor is...Ranger! Ranger will be awarding one winner, chosen from a random drawing, a prize pack of Wendy's three new Archival Ink Pads AND three new embossing powders! And now on to the challenge! This should be a super easy challenge because Wendy's stamp and stencil line is stock full of beautiful floral images. Show us how you use her pretty flowers to create a project. 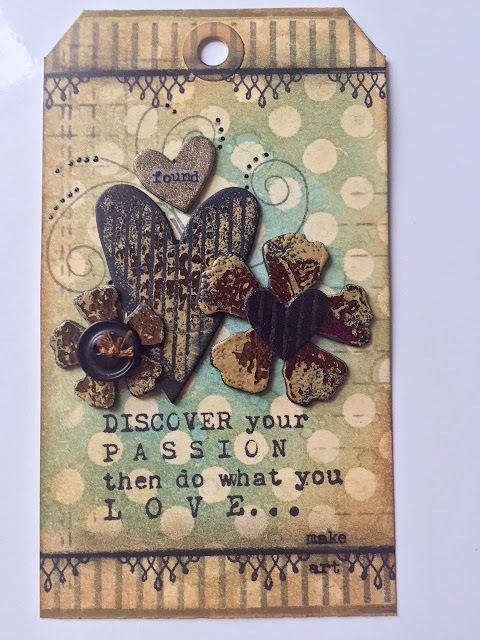 You can make a card, art journal page, home decor project...anything your heart desires, just make it with flowers! We can't wait to see what you create! 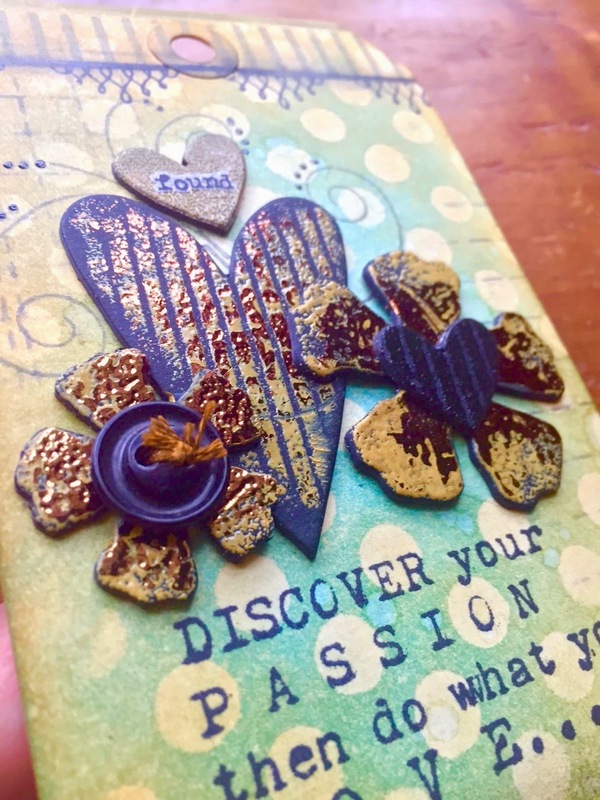 Wendy used some a combination of die cut flowers and foil to create her beautiful tag. Hop on over to her blog to read more about this project. Interested in sharing your ART? We'd love to see what you create with flowers this month! To share, just add your blog post (the specific post, please) link below. Once your project is listed, you'll be entered into our drawing. Thanks so much for playing along this month! LOVE Wendy's tag! LOVE the gold!!! Wonderful colors and enjoy all the intricate little designs throughout. Thanks bunches Wendy. j.
Amazing flowers Wendy. The embossing effect is amazing too.